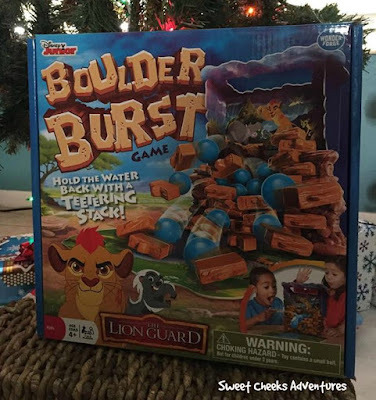 Family Games are a huge part of our holiday traditions! This year I am sharing a few favorites with Cooper and Allyson. A little different than before, but the new versions of the games will bring smiles and little competition for sure! Wonder Forge is helping out with those smiles, for sure! 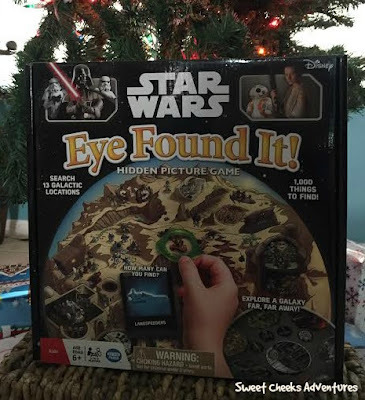 Star Wars seems to be in the forefront of everyone's mind and gift giving lately, so I thought the Star Wars Eye Found It! Hidden Picture Game would be perfect for Cooper. While playing, you get to explore a galaxy far, far away! This goes along great with what he has been talking about nonstop for the last 9 months. He'll be super excited when I show him the original movies! Until then, he'll settle for playing this really fun game. Unfortunately for me, I think he is on the Dark Side. Olaf is also making an appearance this year! Where's Olaf Game is perfect for children who love Frozen and love a game of Hide and Seek! 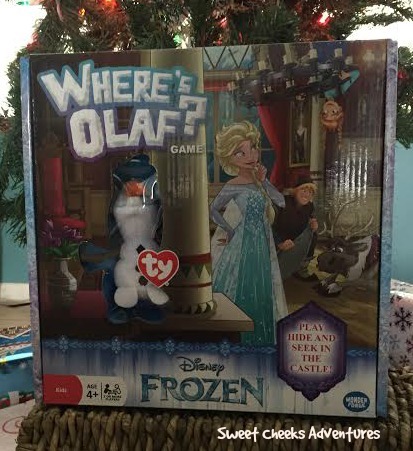 Olaf comes out of the box and you hide him around the house. The kids draw cards and head out to seek their favorite friends made of snowballs! We are also throwing in a little Boulder Burst from Disney Junior's The Lion Guard! I grew up watching Simba and Nala in The Lion King and love that my children can watch The Lion Guard and love it as I did the older version. This game has you dropping a ball of "water" through the storm clouds. You carefully remove a boulder from the stack and how the dam doesn't BURST! So much fun! Wonder Forge has many games to choose from. Not only do they have games for younger children, they have family options. Browse their site and place a few under you tree this Holiday Season!